I have not been many places since being home, one reason is the weather has not been cooperating. But luckily, I have tons of photos from my visits to the Circle B Reserve in Lakeland Florida. I do not think I will ever get around to showing all of them. I am trying to pick out my favorite birds and critters. Another favorite the Belted Kingfisher. A couple of Sandhill Cranes on the trail. 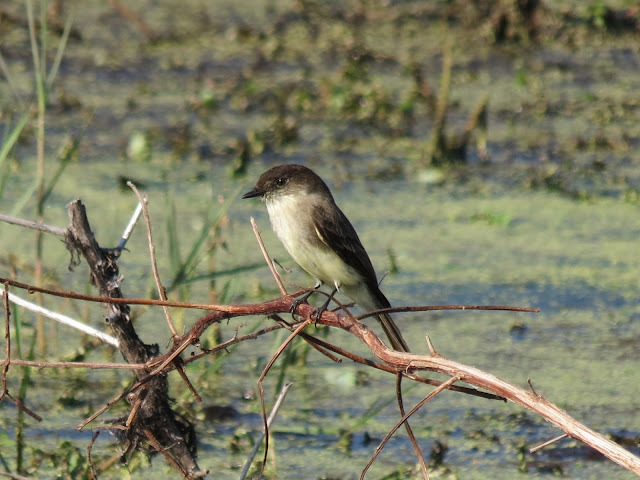 I am pretty sure this is the Eastern Phoebe. Again- great photos of great critters. Those baby gators are amazing. As are the Sandhill cranes and the turtle - and a new to me heron - fabulous. Happy weekend. Thanks so much, I am happy you liked my photos. Enjoy your day! I sure like that Green Heron and that Kingfisher is incredible! Great photos and thanks for the critter link up Eileen. Thanks so much Nora, I appreciate the nice comment along with your participation with my critter party. Happy Saturday! Good day, Eileen. How I wish I could pay a visit to a bird park but I am so afraid of the alligators or snakes. You have post a great series of birds photos. Hello, Nancy! Thanks for the comment and joining in with my critter party. The gators seem to ignore people which is good. Happy weekend! Hello good morning Eileen - What pretty pictures!! Hello Crissi, I appreciate your visit and nice comment. I wish you a happy weekend! Hello, I know I have way too many photos. :) Thanks for the visit and comment. Happy weekend to you! In the past few months I've seen several belted kingfishers, but I'm never quick enough to capture a good photo. Hello, the kingfishers are usually very shy. I was lucky with this one and my camera has great zoom. Thanks for the comment and visit. Happy weekend to you! My favorite is the Soft Shelled Turtle - so cute! Hello, I love that turtle too. Thanks so much for the visit and comment. Happy weekend! Lovely post! How cute the little soft shelled turtle is. I agree, the green heron is very beautiful! Happy Saturday, and enjoy your weekend! Hello, thanks so much for the nice comment. I always appreciate your visits too. Happy weekend to you! Hello Yam! Yes, our weather has not been very Springy! Thanks so much for the visit and comment. Enjoy your weekend! Thanks most sincerely for hosting, dearest Eileen !!! may it be filled with joy and wonder, sweet friend ! Hello Dany, thank you for the visit and nice comment. I appreciate you sharing your post today too. Happy weekend to you! Hi Eileen, What a great collection of photos. Truly amazing. Enjoy your weekend. Hello Mildred, thanks so much for the nice comment. Happy weekend to you! Good Morning, Eileen. Some lovely shots today. That soft shelled turtle is very bizarre, isn't he?! I wouldn't have known that was a turtle with that nose. We HAD a green heron that was always at the pond down the road from us, but new owners of the property "tidied up" that pond--tore out all the cattails, removed dead trees, etc.....and there went the heron, the kingfishers, the turtles, all the wildlife. I think its very funny that he floats a duck decoy out on the pond trying to attract something. Sometimes tidy ISN'T good......especially when it comes to wildlife!! Good morning, Sue! That green heron would love our yard. It is au naturel, lol. The cattails have taken over our pond. I think the frogs and toads love it though. Thanks so much for the visit and comment. Enjoy your day and weekend! Your photo cup from Circle B Bar is overflowing! I envy the great look you got at the kingfisher. My shots are nearly all too distant. The plumage details on the Green Heron are excellent. Of course eagles are among my favorite birds. Our twins are getting ready to fly. Hello Ken, thanks so much for the comment and visit. The eagles are one of my many favorite birds too. Happy weekend! Hello Chica, I always appreciate your nice comments and visits. Have a great day and happy weekend! The Sand hill Cranes have such stilt like legs--amazing. Happy Day. Hello Gayle! Yes, the Cranes are very tall birds with long legs. Thanks so much for the comment and visit. Happy weekend to you! Hi Eileen. Love your captures from your visit to Circle B Reserve. I joined this weeks meme with to captures from my backyard. A cute squirrel visiting the bird feeder. Hello Irene, it so nice to see you joining in this week. I appreciate the comment and visit too. Have a happy weekend! Hello Tom, thanks so much for the visit and comment. Happy Saturday, enjoy your weekend! It never ceases to amaze me that there is so many different species in Florida! 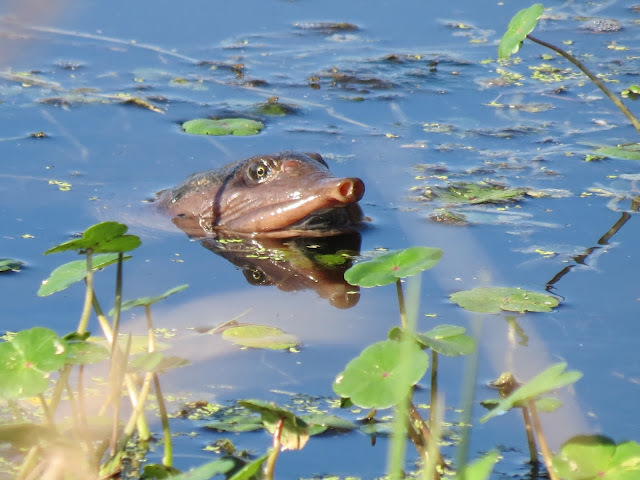 Wonderful captures of the herons and sandhill cranes and fabulous shot of the soft shelled turtle's nose! Have a great weekend and thanks for hosting, Eileen! Hello Christine! Yes, Florida is an awesome place to see all kinds of wildlife. I could be a tour guide there, lol. Thanks for the comment and visit. Enjoy your day and weekend! I especially like the Belted Kingfisher. I know they are not an easy bird to photograph. Hello Lea, the kingfishers are usually very shy around me, I was lucky with this shot. Thanks so much for the visit and comment. Enjoy your day and weekend! I am really envious of the great Kingfisher portrait! I see them but am never able to get a picture. Great turtle shot also! And the beautiful birds. Hello Sallie, it is hard trying to capture the Kingfishers. They are so shy. Thanks so much for the nice comment and for the visit. Happy weekend to you! Baby gators are almost cute...almost! Love the eagle. I've seen 2 this week so I'm really on the lookout every time I go out. Enjoy your weekend! Hugs! Hello Diane, the baby gators are cute. I always love seeing the eagles! Thanks so much for the visit and comment. Happy Sunday, enjoy your day and new week ahead! I'm so grateful as each bird shows up in our county! A beautiful array of wildlife as always. Love that turtle. the turtle wins the so ugly he is adorable award, all the photos are blue ribbon beautiful.. I love the sand hill crane wandering in the road. Great critters today! You really got a good shot of the kingfisher. And yes, what a snout on that turtle. Hi Eleen. I slow to get around this week. Your photos are amazing. I see some that I recognize. The Sandhills fly over on their way to Nebraska. There are two big gatherings, one in the southern part of our state and one in Nebraska. We had planned on going to the festival this year, but didn't get our reservations in soon enough. Looking forward to seeing what you find back at home. I love kingfishers, but they usually fly before I can even get a shot. That turtle nose is too funny. 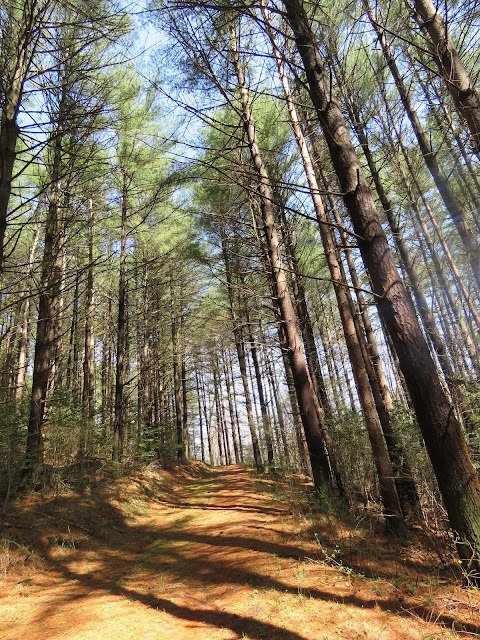 Fantastic shots, Eileen! 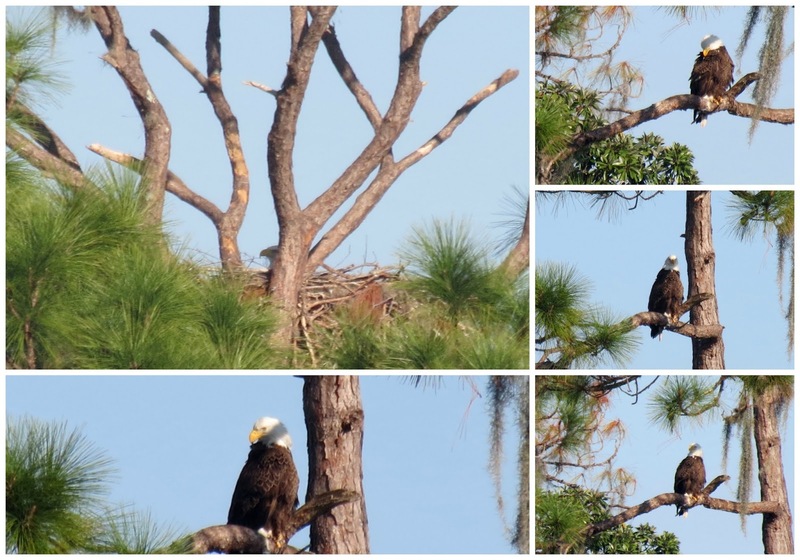 The eagle and its nest are really special. Another great collection of animals from your Florida trip! Lovely birds! I also really like the green Heron, Eileen. I am really enjoying all of your photos from the Circle B Bar Reserve. YOu are an amazing nature photographer. Thanks so much for hosting. 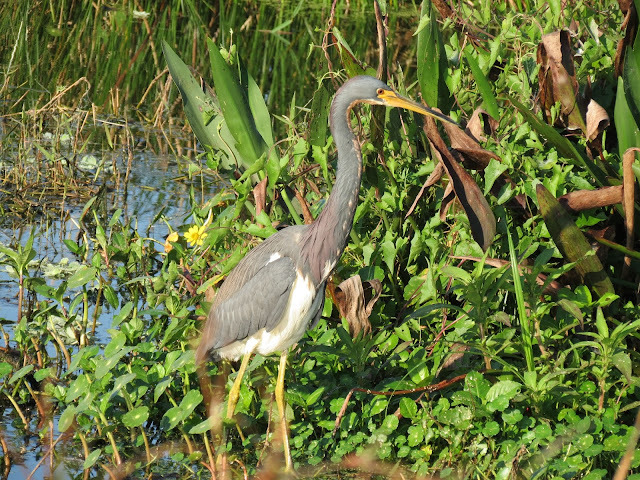 The little green herons are my favorite, too, Eileen! Love your collage of the eagles! What a great sighting! Thank you for hosting! I think my favorite is the kingfisher, such a pretty little bird. And those baby gator's are almost cute! Hello Al, the baby gators are cute. Thank you so much for the comment and visit. Happy Sunday, enjoy your day and the new week ahead! Hello, it is a weird looking turtle. Thank you so much for the nice comment and visit. Happy Sunday, enjoy your day and the new week ahead! I love coming by on Sat and checking out your critters. Great shots..
Hello Pam, thank you so much for the comment and visit. Happy Sunday, enjoy your day and the new week ahead! Hi Eileen. Wonderful photos today. My fave is the belted Kingfisher, but only just. The picture of the cranes is so evocative of where to see them and how easily they might be missed by a less than clued up birder. Great see the heron and of course those everyday gators! Thanks for the chance to join in today. Have fun. Hello Phil, thank you so much for the comment and visit. Happy Sunday, enjoy your day and the new week ahead! 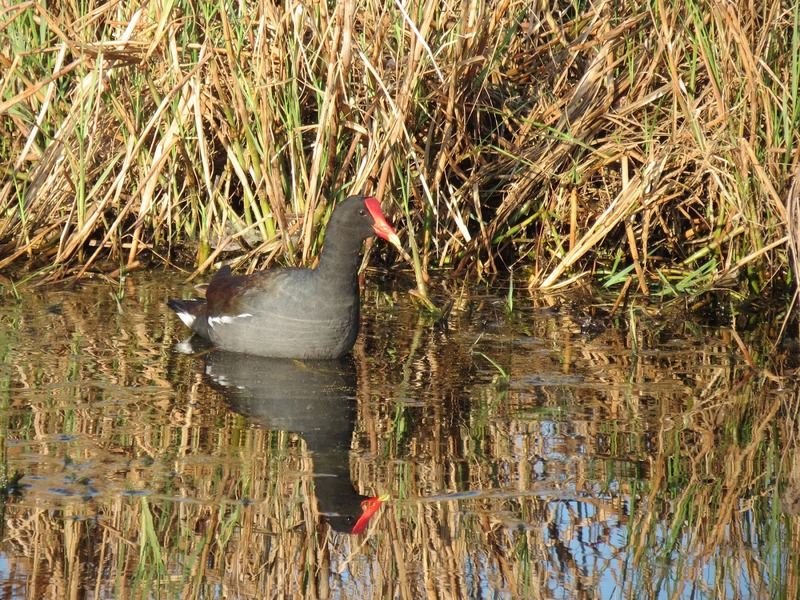 Love seeing the moorhen. The green heron is one of my favourites to see too. Hello Linda, the Green Herons has always been one of my favorites too. Thank you so much for the comment and visit. Happy Sunday, enjoy your day and the new week ahead! Well, well, well, my favourite is the Belted Kingfisher, fabulous. Hello Bob, the Kingfisher is one of my favorites too. Thank you so much for the comment and visit. Happy Sunday, enjoy your day and the new week ahead! Is it odd that baby gators are cute? Hello, yes I think the baby gators are cute too. Thank you so much for the comment and visit. Happy Sunday, enjoy your day and the new week ahead! i hope your pictures from florida last forever!! the soft shelled turtle is awesome - the belted kingfisher is just amazing!!! Thanks, Debbie! For the nice comment and visit. I will miss the Florida birds and critters. Happy Sunday, enjoy your day and new week ahead! fabulous photos of all these wonderful birds. Amazing. Have a great weekend, Eileen. Hello, thanks so much for the nice comment and for the visit. Happy Sunday, enjoy your day and the new week ahead! Golly Eileen you have great shots of a plethora of 'critters'. Thanks. Hello, MB! Thank you so much for the comment and visit. Happy Sunday, enjoy your day and the new week ahead! I remember the first time I saw a soft shelled turtle and how I thought 'what an ugly creature'...now, they're pretty darned cool!!! Thanks for hosting Eileen. Hello Anni, those turtles are an ugly-cute. Thank you so much for the comment and visit. Happy Sunday, enjoy your day and the new week ahead! Hello, Jo! I enjoyed your post and I am so happy to see you home and posting again. I appreciate the visit, comment and your linking up. Happy Sunday, enjoy your day and the new week ahead! Hello Karen, thanks so much for the nice comment. So happy you enjoyed my critters. We may have some warmer weather this week, YAY! Happy Sunday, enjoy your day and new week ahead! Love the turtle's nose too, Eileen! Hello,the turtle does look cute popping up out of the water. Thank you so much for the comment and visit. Happy Sunday, enjoy your day and the new week ahead! That is a really nice serie ! I love the turtle ! Hello, thank you so much for the comment and visit. Happy Sunday, enjoy your day and the new week ahead! Hello JP, thanks for the nice comment. The Kingfishers are a treat to see sitting still. I usually here the Phoebes near my yard, they have a sweet sound. Enjoy your Sunday and the new week ahead! Hi Eileen. Wow...all of your picks for today are fabulous! The water is so clear and lets off a crisp reflection of the Moorhen. And, the soft shell turtle is actually cute! I'm with you, the Green Heron is a great looking bird. Have a wonderful weekend! Hello Suzanne, I always appreciate your comment and visits. Enjoy your Sunday and the new week ahead! You do see some fabulous birds and critters of all kinds. I especially like the picture of the soft shelled turtle - it somehow looks a friendly thing! I do hope your weather improves. Hello Jan, the soft shelled turtle is cute! Thank you so much for the comment and visit. Happy Sunday, enjoy your day and the new week ahead! Hello, Linda! Thank you so much for the comment and visit. Happy Sunday, enjoy your day and the new week ahead! Hello Mary, thanks so much for the nice comment. I love all the birds and will miss seeing the Florida birds. happy Sunday, enjoy your day and the new week ahead! Eileen, nice variety, especially the Belted Kingfisher. Thanks for sharing. Hello, the Kingfisher is a great bird. I always enjoy seeing them. Thank you so much for the comment and visit. Happy Sunday, enjoy your day and the new week ahead! Oh, my, Eileen! I love every single shot, here...even the baby gators are cute. LOVE that Bald Eagle and love that Green Heron. Hello Rose, thanks so much for the nice comment. I appreciate your visit too. Have a happy Sunday and new week ahead! They are all so pretty! Well maybe not the gators. They are cute though. Hello Lois, I thought the little gators were cute. I think I got used to seeing the Alligators everywhere we went. Thank you so much for the comment and visit. Happy Sunday, enjoy your day and the new week ahead! Amazing collection of critters. Quite a treasure chest you must have. Hello Eileen, it's my weekend to work so I'm late but I'm here. That little sandhill crane I think it's called is really cute. All of your critters are cool like always! Enjoy what's left of your weekend, and next weekend is Easter Bunny time! Hello Karen, I know you are busy on the weekends. I appreciate your comment, visit and linking up. Have a great day and new week ahead! EILEEN I love your shots and that must have been such a great place to visit. such a lot of diversity there was there! That was a very interesting turtle and you are right, that nose is fascinating. When I first saw it, I couldn't figure out what it was until i read your note. that is a reserve I would love to visit! Hello Jeanne, this is a great place to see the birds and wildlife. People come from all around Florida to visit this park. Thank you so much for the comment and visit. Happy Sunday, enjoy your day and the new week ahead! Week after week, you bring it . . .
Love the cranes . . .
Hello Lynne, I appreciate your nice comment. Thanks for the visit. Happy Sunday, enjoy your day and the new week ahead! Some beautiful shots today Eileen. Hello, Nice pics and post. Excellent pictures! The sandhill cranes look huge! Hello Linda, yes those Cranes are tall birds. Thank you so much for the comment and visit. Happy Sunday, enjoy your day and the new week ahead! You have there wonderful birds and interesting animals. Lovely photos. You always have amazing shots of critters. Love the kingfisher with its scruffy hair do. Hi Diane, the Kingfisher is one of my favorites too. Thanks so much for the comment and visit. Happy Sunday, enjoy your day and the new week ahead! Hello Eileen! You always make fantastic pictures!! How nice to watch all your critters!! Hello Ela, you are so kind. Thank you for the nice comment. Happy Sunday, enjoy your day and the new week ahead! Thanks, Eileen, for linking up this week at I'd Rather B Birdin'. Hello, thanks so much for the comment and visit. Happy Sunday, enjoy your day and the new week ahead! Hi Eileen, Right off the bat your photo of the Belted Kingfisher made me say Wow! What a great shot. Enjoyed all the photos in this week's Saturday's Critters. Thank you, as always, for sharing and hosting. Wishing you a happy week ahead! Hello John, Thanks so much for the nice comment on my photos. I appreciate your visit and linking up your post too. Happy Sunday, enjoy your day and the new week ahead! Wonderful post! Love the phoebe and the kingfisher! Sorry I am late joining in this weekend! Have a great one! Hello, thanks so much for the comment and visit. You are welcome any time. Happy Sunday, enjoy your day and the new week ahead! Lovely photos - specially the belted kingfisher and the soft shelled turtle has such a funny face! Hello, thanks so much for the comment and visit. The Turtle is strange looking. Happy Sunday, enjoy your day and the new week ahead! Beautiful birds, especially the first to impress me. The turtle's nose is sweet and even the animal from the third photo from below I like because they are young and small. I greet and wish you a good new week. Lovely pictures of al the birds! Happy new week! I'm not sure that I ever saw a soft shelled turtle...Not a great looking nose!! Love the Tricolor-ed Heron..Pretty bird..
Hi Eileen, I am with you about that Green Heron. Gorgeous photograph! Have a really fine coming week. Wonderful shots - I'm of to the coast this week - hope to get some good pictures too. Fantastic collection of photos Eileen. You can share as many of these as you have, I would love them all. That soft shelled turtle is amazing. All your birds are too, and those baby gators. I remember loving all the wildlife when we were down in Florida, and now you have shared another place I will look forward to seeing, the Circle B. Thank you so much and enjoy the rest of your weekend. Great photos Eileen! I love the scruffy feathers on the head of that kingfisher. Can you believe it--we had a pair of Sandhill Cranes up here last week in VB? I got pictures that I will eventually get around to posting... I have also seen and photographed my first Tri-colored Heron here! Yay! I see nowhere near the number of birds you see, so it is good to read your blog and get to know what to look for... you never know what will pop in! Thanks for sharing, as always!